Make your FV432 Series vehicle better, with the inclusion of hi-tech laser cut headlamp guards. 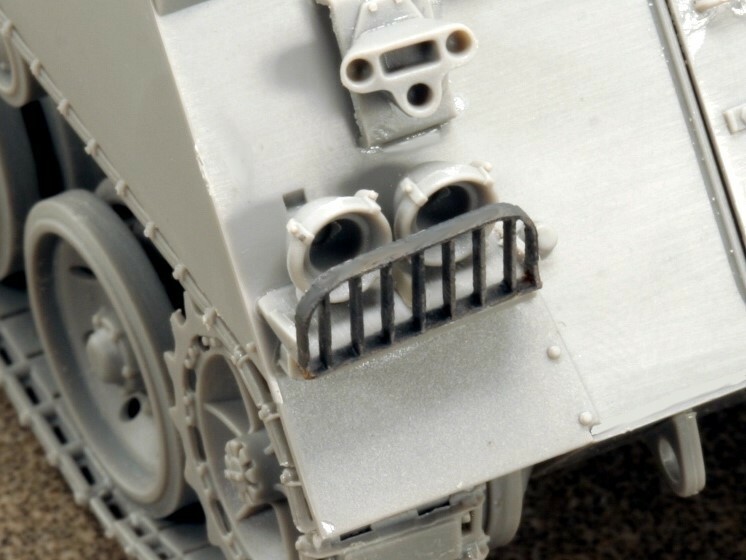 These replace the original combination of resin/plastic and etched brass on either Accurate Armour or Takom kits and are simply cut out from the frame and applied to the model with the centre web provided. The guards are perfect in scale, thickness and shape. All Accurate Armour FV432 kits made from October 2013 have these included as standard, this update set is for kits bought prior to that date and all Takom kits especially if wishing to depict a vehicle prior to the 1998-2001 base overhaul.